I was supposed to be back to show you our Goodie Trays from Laurenz’s sleepover, but alas they were demolished before I had a chance to photograph them! I hope you don’t mind instead I will share with you yet another Butterfly creation! I am just loving this Autumn Spice Textured Coverweight DSP from the Autumn Winter Mini – particularly this Old Olive Design – I would buy an entire pack of it if I could! 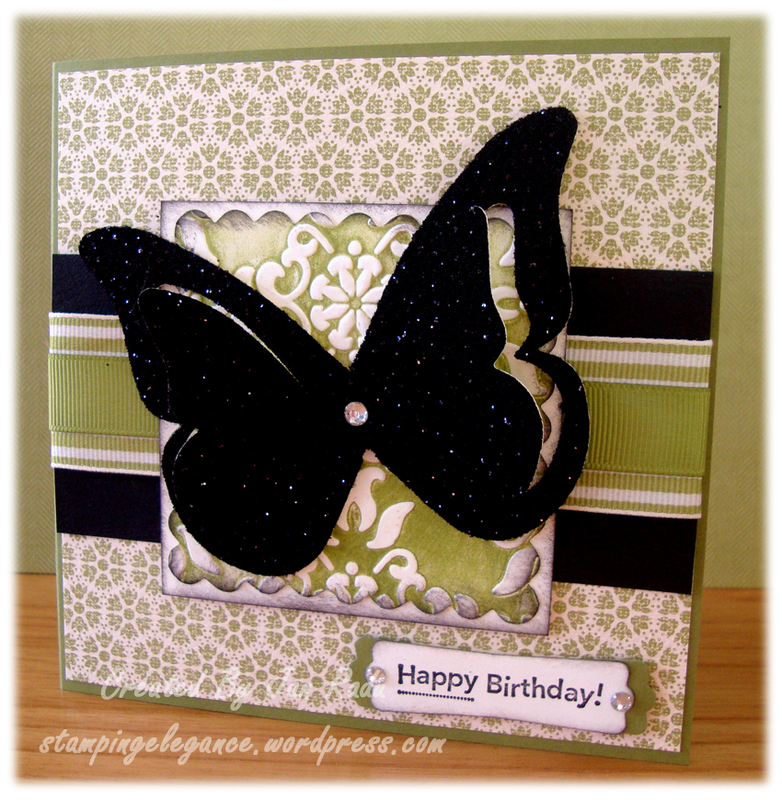 I’v teamed it with a Black Fabric Sparkly Butterfly using my Beautiful Butterfly Die and Bigshot and of course Multi Purpose Adhesive Sheets to attach the fabric to my card. If you are wondering about the embossed section in the middle and how I managed to two tone colour it – I took my vintage wallpaper embossing folder and rubbed my old olive stampin pad over the FLAT inside of the folder, then placed my Whisper White Cardstock over the top being careful not to move it before running it through my bigshot – I AM LOVING THIS EFFECT! 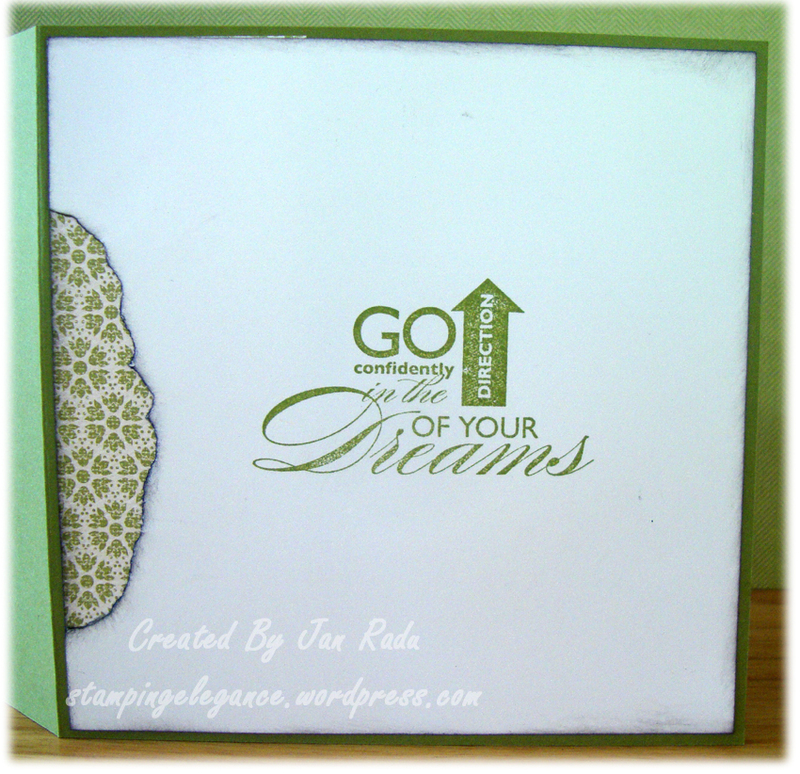 More inking, some tearing and DSP, and one of my favourite sentiments EVER from the Wordplay stampset. I am truly enjoying decorating the inside of my square card creations of late! Thanks for stopping by and as always, just yell out if you’d like further details on my project!